Eye For Beauty: Eye For Beauty Blog is 2!!! 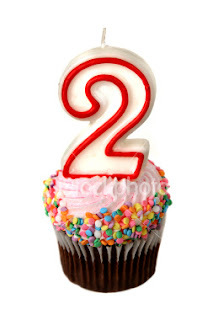 Eye For Beauty Blog is 2!!! Eye For Beauty Blog is two years old today. I started this blog on December 4, 2010 and I've had so much fun with it!!! Even though it's not as easy as it was when I first started, I am still determined to keep going with it. My insane work schedule has turned it into added pressure but it's also fun at the same time. The highlight for me so far is definitely the interview I did this year with the amazing Ann Sidney, Miss World 1964! There are so many pageant blogs out there and this one is not exactly anything special and extraordinary but I have been overwhelmed by the amazing support I've received from my pageant family (which includes many amazing pageant girls, former title holders, directors/pageant organizers, and pageant fans)!! !